The best walk I’ve had in a while. 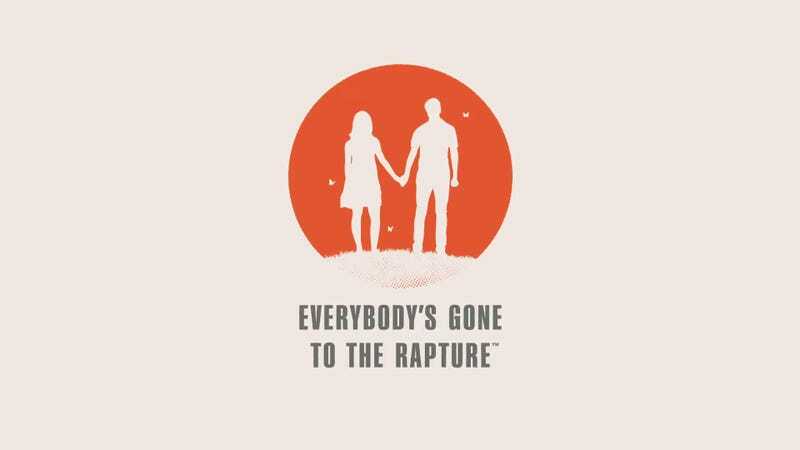 WARNING: Possible spoiler-ish things for Everybody’s Gone to the Rapture are discussed. I joke with my comment up there. It’s well-known that developer The Chinese Room have come out with a couple of games that have been slapped with the term ‘walking simulators’ with Dear Esther and Rapture, the follow-up. That said, it is something that suits Rapture very well (I can’t comment on Dear Esther as I haven’t played it yet). It is a game that requires buying into its timing and pace, and rewards exploration as it is the only way to put the entire story together. It has to be said up front that this game is not for everyone. It is very much a niche kind of game. For one, the game requires walking to every place that you go (in a floaty, first-person perspective) with no fast travel option and limited sprint capabilities. That alone could prevent a player from putting in the time to make it through the story. You are either going to be bored by Everybody’s Gone to the Rapture, hate it outright, appreciate it for what it tries to do, or be blown away by it. I believe that it is worth your time to give it a try if you can. The game is also available on PC. As I often do when I’m looking for a new game for my list, I picked up Rapture from a PSN Flash Sale last week (along with The Fall, and Journey). The game takes place in the early 1980s in an English village called Yaughton. where the entire population has vanished. You are a nameless wander that shows up in Yaughton, looking for answers. To find out, you have to go all over the village, checking houses, businesses, farms, beaches, and forests to find clues. Soon after your arrival, strange glowing orbs begin floating and racing all over the village. If you can track one down and hone in on it using the DualShock 4's motion capabilities, the orb shifts into a glowing silhouette of the former inhabitants of Yaughton, showing you what events transpired in their lives in the lead up to the disappearances. There are five orbs, each tied to a story of one of the former inhabitants. As you enter each zone in the village, the name of the person appears on the screen to let you know whose story you are wandering into. The televisions and computers you find broadcast a flickering image of a radio tower and a voice reading out randomized sets of numbers. In other places you find piles of ash, and in others wads of tissue soaked with blood. When you locate a radio, tape recorder, or phone, you hear messages between former inhabitants of the village, scientists named Kate and Stephen who were examining a strange phenomenon that was causing people to act strangely and vanish upon their deaths. Look to your orb for the warning. If you want to find out what is going on, you’re going to have to explore. While the game map might not seem all that large, there are a lot of places to go looking for things, and you have to know where you want to go. In place of a traditional HUD system, you can find your bearing using maps that are scattered about the village. Most of them tell you where you are with a “You Are Here” marker on the map. Strange symbols drawn on some of the maps give you hints on places you should go check out. That is where the walking comes in. Rapture has you going at a leisurely pace. The game is designed for you to observe and look deeply into things. There is no sprinting from one location to another. If you want to get there, you’re going to be walking. There is an option to speed up your walk by holding down R2. It s a slight increase in speed but it is far from racing. So that map starts feeling a lot bigger than it is. I felt it becoming a slight annoyance whenever I had to backtrack because I missed something. I discovered a few of the shortcuts that helped me get back to a prior location. One of the benefits of the slow pace is it gives you the opportunity to look at the environments. Rapture is a beautiful game. The realism of the village and each of its regions enhances the sense of dread, a contrast of the idyllic and the brutal. The idea of The Rapture has its origins in religion, so it is easy to believe that the disappearance of everyone is linked to that. But there is too much confusion and chaos and blood to think that people were joyous when their time came. Something awful happened in Yaughton and the deeper you look, you find there is a lot more to it than you think. Empty gymnasiums filled with abandoned toys and blankets. Beach-side tents and campers left empty, and the smoke still rising from their barbecue grills. The discovery of stories of love and forgiveness, and of loss and loneliness. I was literally in awe when I completed my first story segment. It is a stunning world transformation and it must be seen to be fully experienced. The game does not hold your hand very much. From the beginning, you simply begin walking, searching for what exactly is going on. Other than a brief tutorial about how to ‘capture’ orbs, you are left to find things out on your own. Sound plays a big role in the game. The radios will give off noise and you can hear the ringing of phones, those will help you find them. The orbs give off a distinctive hum, and eerie whispers and fragments of speech when you are close enough to them. They also serve as helpers, directing you to paths not seen or simply waiting in the center of the road, indicating that you should not leave the area yet and there is something you should find first. Now, I did not figure out that last part on my own. I had to look that up online while I was playing. The other silence in the game is occasionally broken by the beautiful and haunting soundtrack by Jessica Curry. I plan on buying that soon. The game has not been out all that long for PS4 users, so I have kept this write-up mostly on the side of spoiler-ish so that you all who chose to read this and are still curious can make their own discoveries and conclusions to Everybody’s Gone to the Rapture. It was definitely worth my time, and I encourage anyone who likes something a little off the beaten path to give it a try.The game length is appropriate for the style of game it is. In games like this I tend to really explore to try to get the most complete story. I finished in roughly eight hours. It can easily be finished far quicker than that, but I do not know how the narrative will feel if so much backstory is left out. To me, the eventual tragic revelation of what happened in Yaughton was underscored by all of the information I had discovered, and all of the places I had seen. The ending will divide people. It might even anger you because it opens up as many questions as it does answers. But the road you walk on to get there is one of beauty, wonder, and sadness. Screenshots were captured during my playthrough using the PS4's share function. I actually finished an entire three (!) games this past week. In the near future I will write about the two from my backlog: Never Alone, and Infamous: First Light.